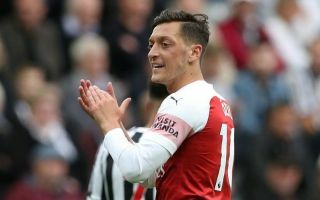 See the tweet below in which Manchester United super-fan Mark Goldbridge gives a brutal response to Ozil’s tweet about a clearly serious issue. Taking on the 10-year challenge which has been doing the rounds on social media this week, the German playmaker chose to show two pictures of the ice caps ten years apart, instead of indulging in the vanity project most others have been involved in. Still, Goldbridge couldn’t resist but turn this tweet back on Ozil and use it as a way to poke fun of him for disappearing even quicker in big games. The 30-year-old does have that reputation, perhaps slightly unfairly at times, and perhaps should have seen this kind of response coming. Ozil has been out of favour at Arsenal under Unai Emery this season, so is actually literally disappearing from sight this term.